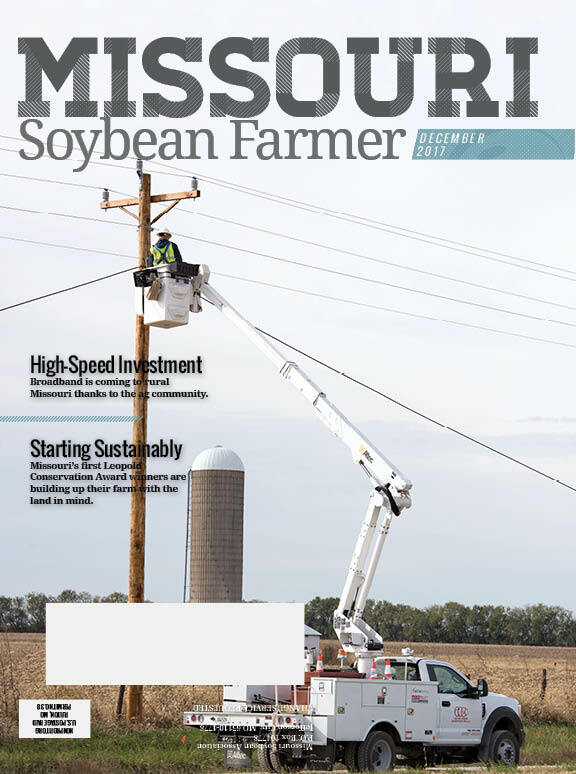 The December issue of Missouri Soybean Farmer magazine concludes the special transportation series, exploring efforts to bring high-speed internet access – moving data key to agriculture and communities – to rural Missouri. This issue also highlights Missouri’s first Leopold Conservation Award winners, Matt and Kate Lambert, and shares conversation starters for succession planning discussions. Readers will also find longtime farmer leader Neal Bredehoeft reflecting on how he and the Missouri Soybean Association have grown over the past thirty years. Read the full issue online or download a PDF by clicking here. Looking for the mobile/tablet friendly option? Click here for the mobile friendly version of Missouri Soybean Farmer.